We had exciting two months at SE Ranking in terms of platform updates. Have a look at what we’ve rolled out! You’ve probably already seen the special results on Google’s SERP. These elements appear in addition to the traditional organic results and allow you to get more information about your query, including relevant images, videos, news, etc. Much to the users’ delight, the special SERP features are growing, which means SEO pros have to become savvier and more creative. These blocks are often displayed at the top of the page, pushing organic results out, so knowing how to deal with that becomes more and more important. 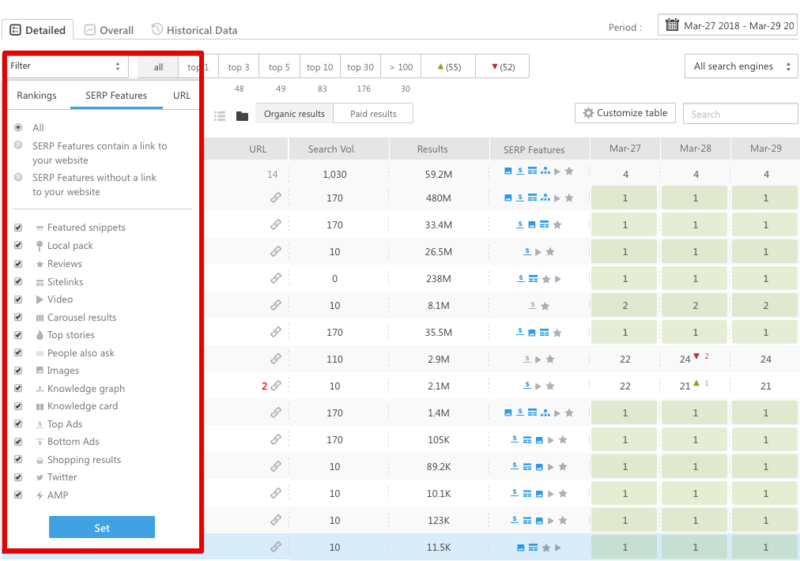 Our new update makes the process easy – you can see which SERP features are in place for the keywords you’re tracking as well as check whether your website is present in any of these features. To track the keyword rankings in the SERP features, add the appropriate column in the Rankings section as shown below. The system will check whether the SERP features are present for the given keyword in the selected region, display exactly what SERP features are there and highlight them in blue if your domain wins any of them. Point to the feature icon to see what it stands for. To check how the SERP looks like, click the rankings number and open a cached copy of the SERP. If you want us to count the featured snippet as the number 1 rank in the organic SERP, go to the project settings and specify it. 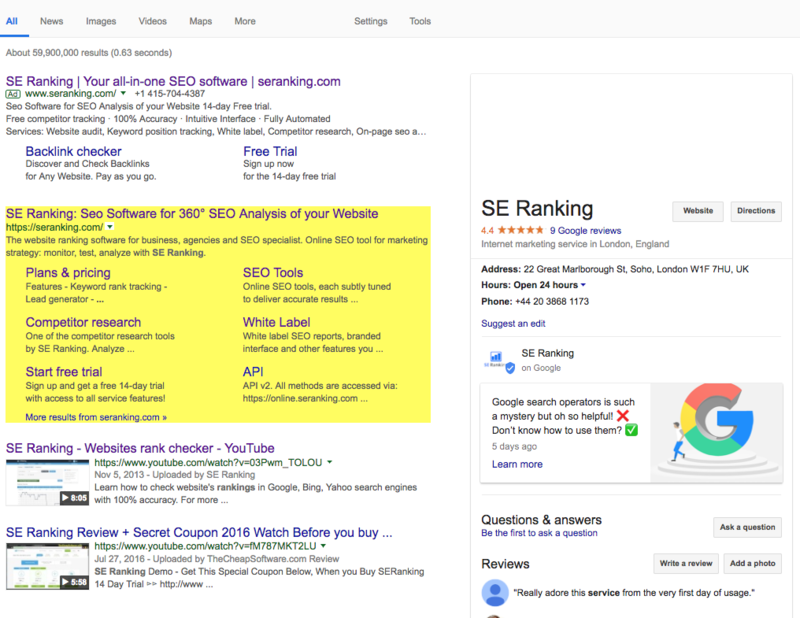 Thus, if your site, for example, is ranked both in the featured snippets block and SERP as 8th, you will see the 1st position in your project ranking results. At the moment, SE Ranking tracks 16 different SERP features. 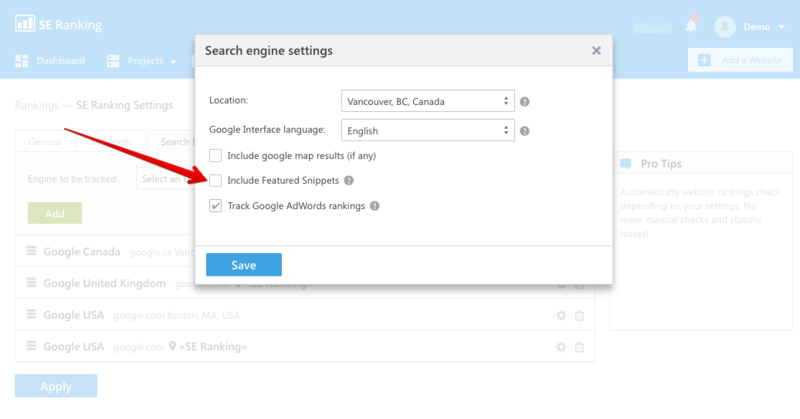 You can easily filter them and customize the display settings so you can see all the SERP features together; only SERP features that contain a link to your website, or only SERP features without a link to your website. Now you can set the limits for the sub-accounts in terms of what portion of the allocated options per plan they can use as well as set a general budget limit. This will give you a full control over projects and the spending. Also we’ve hidden the Reports section for the client accounts. The best SEO software. It’s a pleasure to work with you guys! This is an excellent upgrade. Many thanks. I would appreciate if you also increase backlink limit and add the ability to transfer selected backlinks to disavow list without having to retype it. That way I could stop using other SEO tools and upgrade my existing plan with you. Thanks for your feedback! We will definitely consider your proposition! Excellent, good addition for maintaining seo overview.